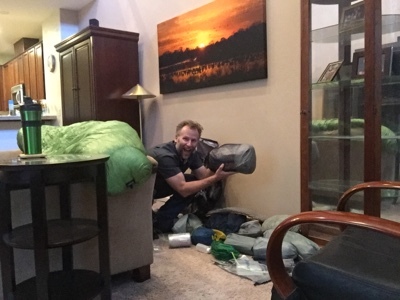 Gnarly River: Day -5 : LDOIPW! My last day of income producing work (LDOIPW) is today. So far it's a fairly typical day. Awake at 4:15 am, out the door by 4:25 am. It's cool but not as cold as it was a few months back. I feel rested and strong. The muscles in my hamstring s, calves, and quads move with a synchronicity trained into them through the bleak cold rainy dark mornings of winter. I move without conscious effort, a ghost, a transient apparition through the neighborhood. I pass a skunk foraging in the lawn, tail waving black and white like a pirate flag, what do skunks eat? I ponder. Snails, slugs, mushrooms? Don't know! Carry on, fellow keeper of the night! I move quickly, and arrive home a recipe breaking ten minutes earlier than the norm. Stretch and shower. Make coffee, the routine is strong with this one. I consider that my routine is about to change . 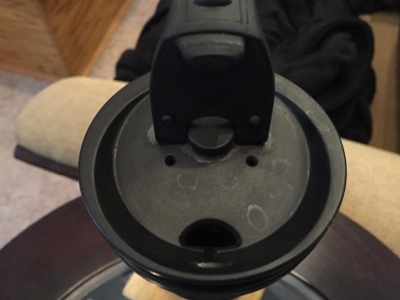 My trusted insulated coffee mug looks at me is disbelief. "We won't be spending the summer together?" It appears to be saying. "No I answer, you're too heavy I am leaving you behind." It stares back in stunned silence. LDOIPW! What do I wear for this occasion? I wear what's comfortable. Jeans and an untucked shirt-sleeve shirt. What are they going to do? Send me home early? 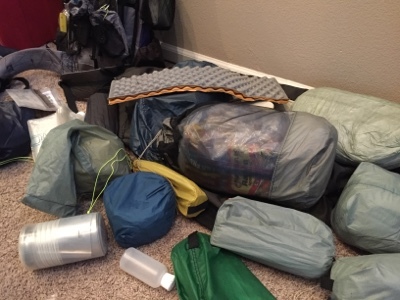 I unpack my pack and riffle through my gear. I find the eight pound training ball that is substituting for four liters of water. I set it aside and pile the testify my gear into a disorganized heap. What goes where? What makes the most sense? What will I need and when? Why am I doing this? Excited energy! I can't sit still. I will unpack everything again at least a few times more this week. Not that I need to. The demands of the trail will dictate the proper location for everything soon enough. This exercise is more an exercise in visualization and relaxation. Confirming to me that year I do have that item and yes I will be on the trail soon. For now though it's off to the office. Can't wait to follow your trip! Excited for you! Okay Cousin Scotty-Wotty! I'm following your journey, so keep on posting the blogs! You've got my prayers going with you as well :) Have fun, be safe, and keep us all informed!